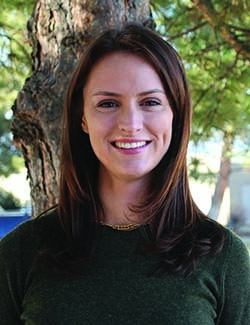 Molly Fitzpatrick was elected as Boulder County Clerk and Recorder in 2018. Her current term continues through early January 2023. As Boulder County Clerk and Recorder, Molly oversees three divisions including elections, motor vehicle, and recording. Before being elected County Clerk, Molly was the Organizing Director with New Era Colorado, where she managed statewide programs to register thousands of young voters in Colorado, helped voters navigate our elections process, and supported the policies and administrative reforms to make democracy more accessible. She has also worked with county clerks across the state and the state legislature to improve voter access and voter education initiatives – including voter preregistration for 16- and 17-year olds and election modernization in 2013. Molly is a graduate of CU Boulder, where she had the privilege of training in the INVST Community Leadership Program at CU, where she later served as a Board Member. She has also served on the Students Learn Students Vote Coalition Advisory Board, where she supported and granted programs to make it easier for campuses across the country to adopt civic engagement programs and practices for their students. Molly lives in Boulder with her partner, William, and their dog Piper.